An interview with Asher Lack, principal singer and songwriter with the brilliant New York band Ravens & Chimes. Ravens And Chimes by Karolina Burdon. I may not be that rock’n’roll these days, but that doesn’t stop me enjoying the finest that indie music has to offer. 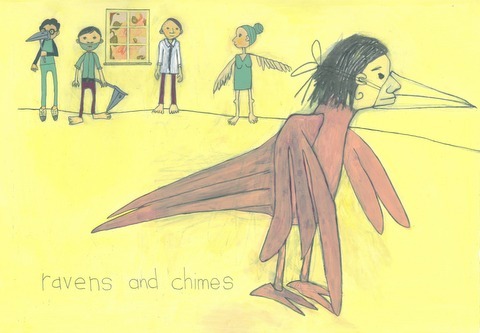 I am therefore very excited to share with you my discovery of Ravens & Chimes, a New York based five piece with stellar melodies and great lyrics that demand a top of the voice sing-a-long. For the past few weeks I’ve been listening to new album Holiday Life on repeat in our car as we travel back and forth to my parents’ house (which happens on a regular basis since they help me out with Snarfle care for one day a week). In fact I think I can happily say that Snarfle is just as keen on this record as I am: we frequently play it at high volume and he beats out the time of the drums with a good old fist pump from the back seat. Really, you need to hear this record (which you can, at the bottom of this blog post) I caught up with lead singer and songwriter Asher Lack. Ravens and Chimes. Photography by Ryan Muir. 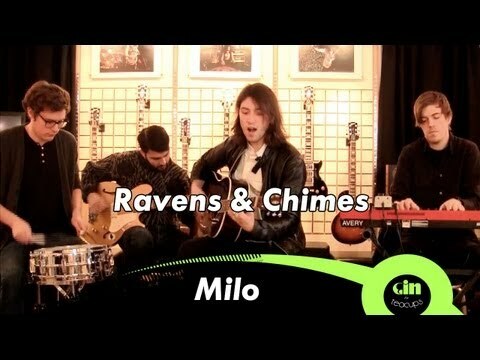 What are the three words that best describe the sound and vibe of Ravens and Chimes? Big Bright Romantic? Someone once wrote that about us and it made me feel good. How did you come to work on the soundtrack of one of the Twilight films, and what inspired the resulting song, Carousel? The band was in a really dark place and we were stalled in the middle of an album that none of us felt was going well. Then, out of the blue I got an email from the label asking if we had any new material to submit for the Twilight 3 soundtrack. I had a half finished song that I thought would work well so I got everyone together and we recorded it. The result was the song Carousel which shifted the direction we were moving in and refocussed us as a group. The song was me trying to capture that feeling of loss that I had after we finished touring our first album. The friendship between the band and I that had suffered, and my relationship that had ended. Ravens and Chimes by Gareth A Hopkins. It took awhile for you to write this album – what is it about? I think this is an album about facing impossible circumstances and saying “I won’t give up.” in the face of that. It took five years after our first album to write this, record it, and get it released. After we finished touring the first album the band was in shambles. Everyone was broke and we had started recording the new album and run out of money. To add to that I hadn’t written any songs that I thought were good in about two years, so we stopped work on the new record (in Montreal) and went back to NY. We tried to earn the money to finish by touring, but our agent dropped us because we hadn’t finished the new album. On top of that the label didn’t have the money to help us finish the album so we all got jobs. Then the situation with Carousel brought us back together and gave us a sense of purpose. I had a lucky two month period where I wrote the second half of the album (Division St, Past Lives, The Parting Glass, In Rooms, and Carousel) and Rebecca and I cowrote Arrow. We went back up to Montreal and recorded these songs and combined them with the other ones we had done before and the label was blown away by how hard we worked and agreed to put it out. 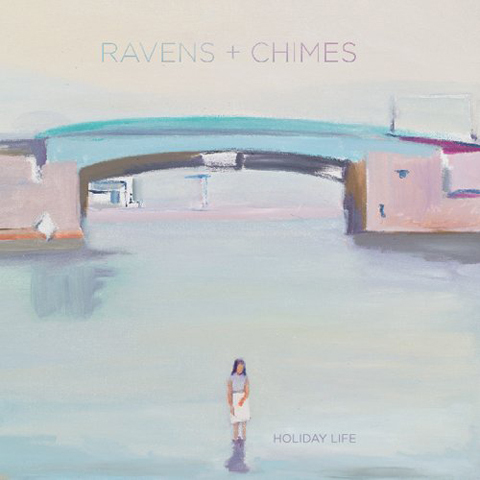 Ravens and Chimes by James McCourt, inspired by capturing something for a moment, a memory, escaping, and about a sense of change being on the horizon. 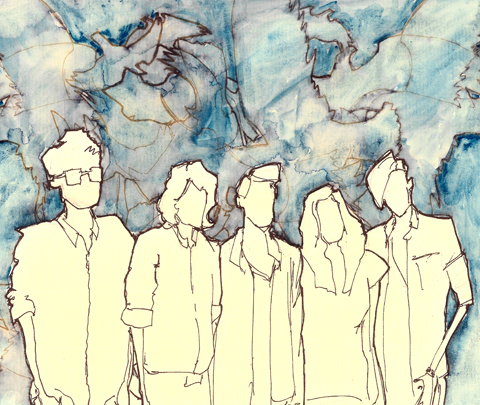 There’s five of you: how did you put the band together and what keeps you together when there are tough times? 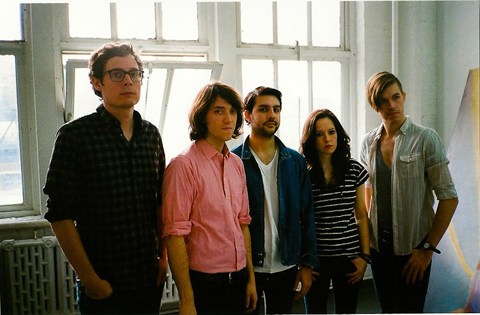 A few of us met in college and knew each other from other bands on the scene. When times are tough I think the hard things we’ve already been through and the ability to focus on all the luck and success we’ve had together has been what gets us though. Who created the album artwork and what was their brief? I love it! My dad is a painter so I’ve always used his images for our album art. When we first started as a band our rehearsal space was in his studio in Chelsea. Thanks so much for saying that! Ravens and Chimes by Lizzie Donegan at New Good Studio. 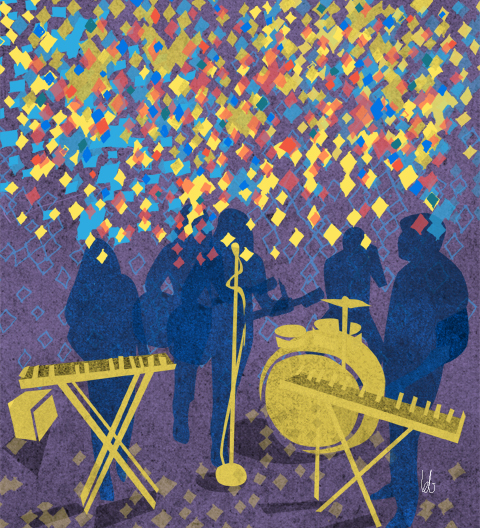 You’ve toured with some formidable bands, including Fiery Furnaces and Dan Deacon, can you share any stories from behind the scenes? I remember The Fiery Furnaces tour manager accusing us of stealing their towels but I think that’s about as crazy as it’s gotten. 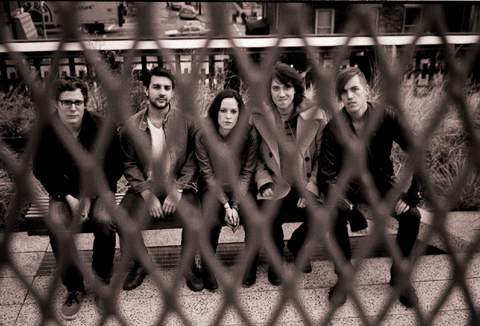 We’re really lucky that all the bands we’ve played with have been really cool to us. Billy Bragg gave us all a big hug. 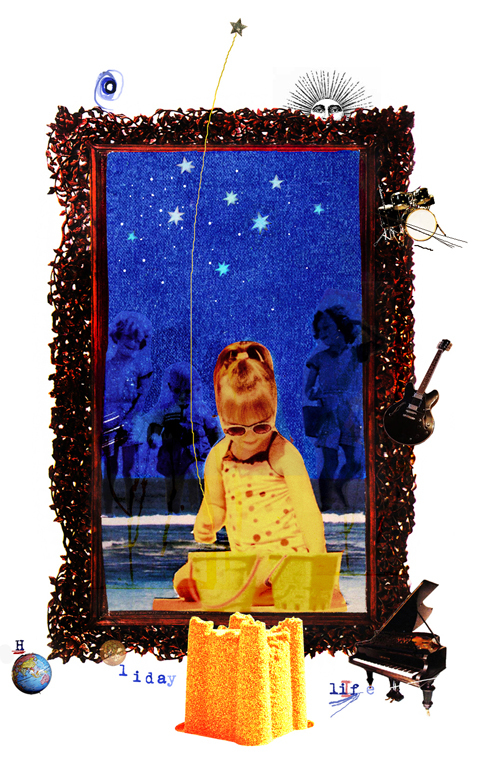 What are you currently working on, stateside? Right now we’re writing a new album and getting ready to start recording in December (hopefully). 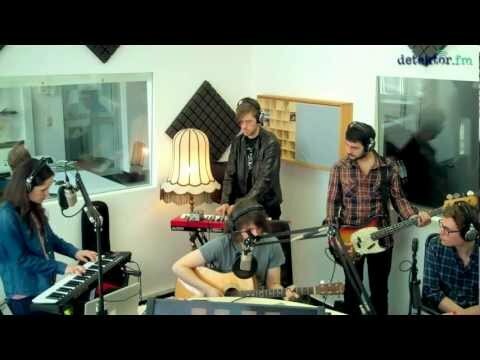 Above is one of the new songs that we played at an acoustic session in London last November. Why has it taken so long to release this record in the UK and where can British fans catch you live in the near future? There were a lot of delays with the release of this record. I’m not sure why but it always takes a lot of time to put all the ducks in a row. Hopefully we’ll be faster next time! In terms of UK tours, it looks like next summer into next fall if everything comes together. 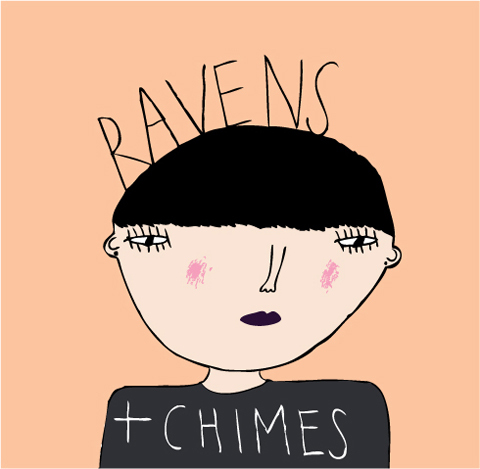 Ravens and Chimes by Anna Chapman.